To be a good real estate broker one should be a good seller and promoter. What helps realtors to promote their services and bring clients? Digital marketing which includes Google ads, Facebook ads, marketing landing pages to attract home shoppers online etc. Another powerful marketing strategy is local advertising. 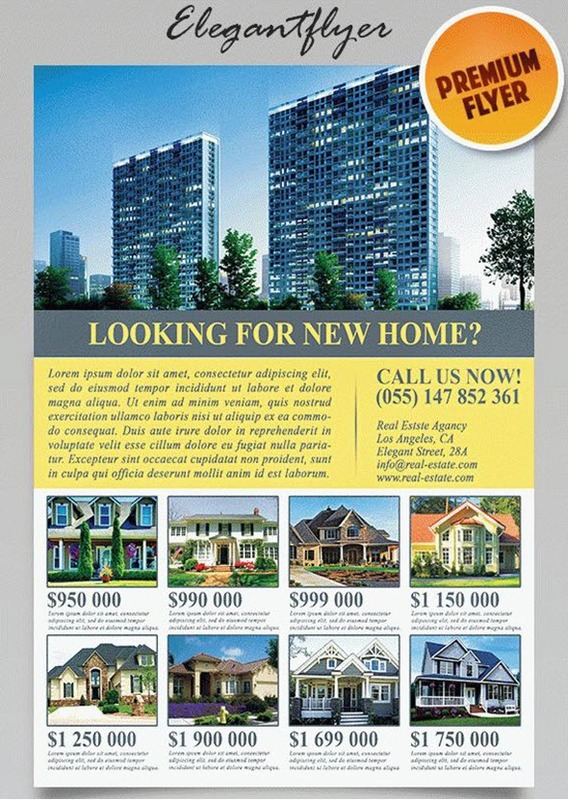 Local advertising should include Google My Business real estate business promotion and advertising via time-honoured real estate bi-fold and tri-fold brochures, property listing leaflets and of course real estate flyers. 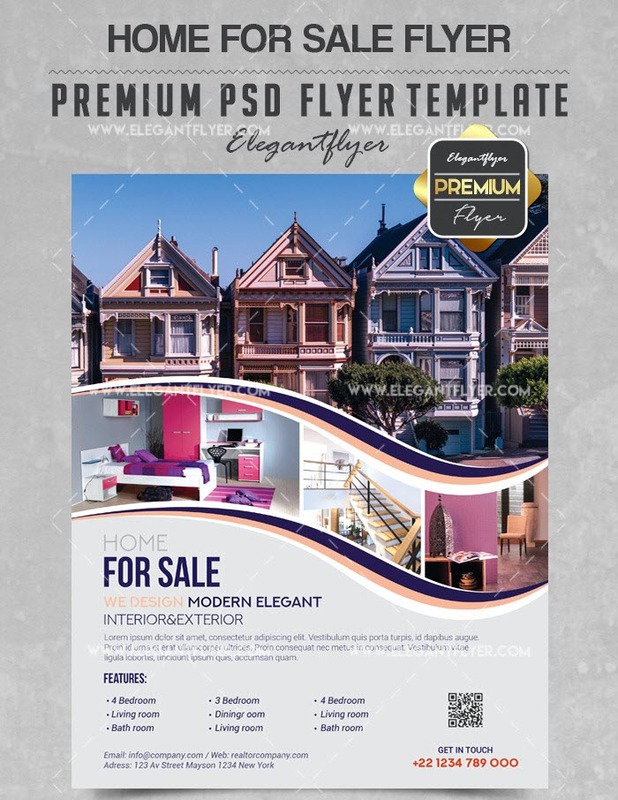 Here are 8 free and premium flyer PSD templates you can download right away in order to create effective and eye-catching real estate flyers and gain an advantage in your local real estate market. Guides and crop marks area. Use this clean and professionally designed real estate flyer PSD template for an open house invitation, property listings flyers, real estate special offer or your real estate agency services promotion. 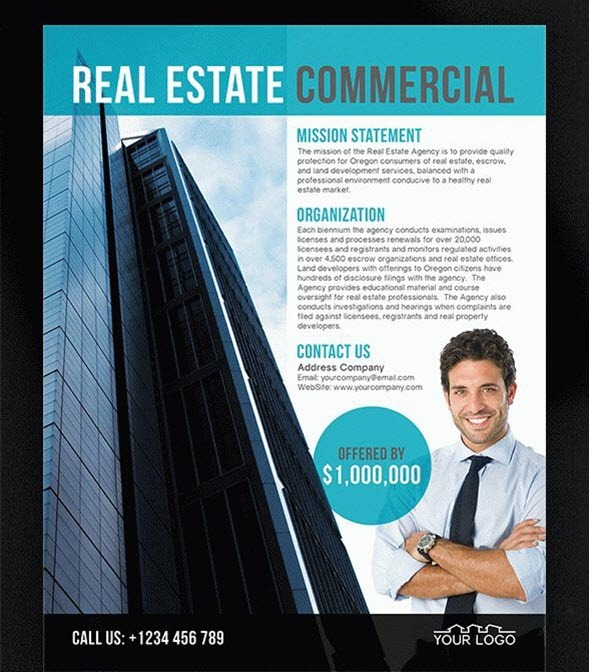 Use this minimalist flyer design template for property listing promotion and your real estate business advertising. You can easily edit text and insert your own photos into pre-designed 4 image placeholders. 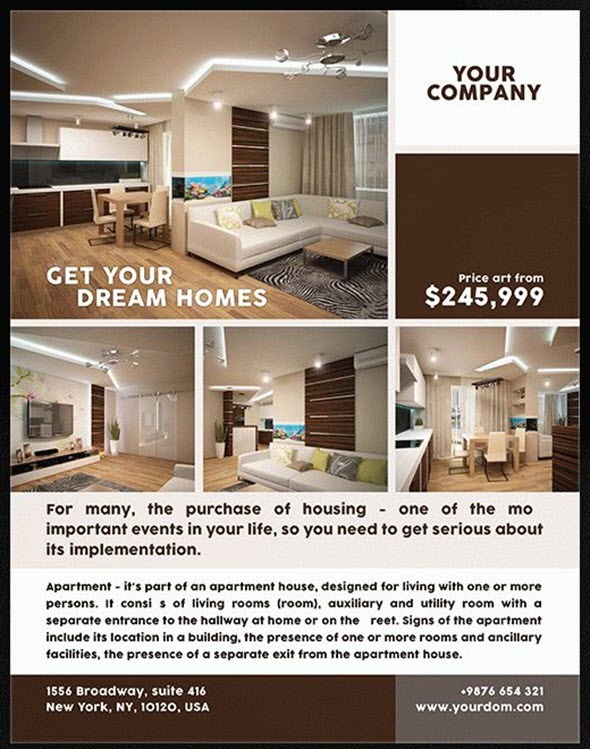 This real estate flyer PSD template works well both for real estate agency services promotion and for individual realtors’ services promotion. 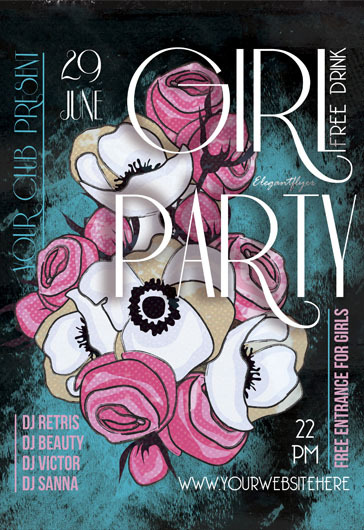 It has 3 color variations and allows all texts and images to be easily modified in Photoshop. 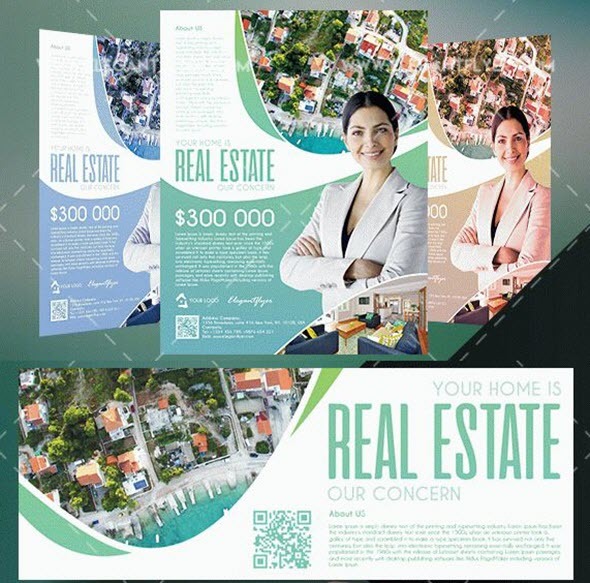 Download free real estate company trifold brochure PSD template and free realtor trifold brochure. 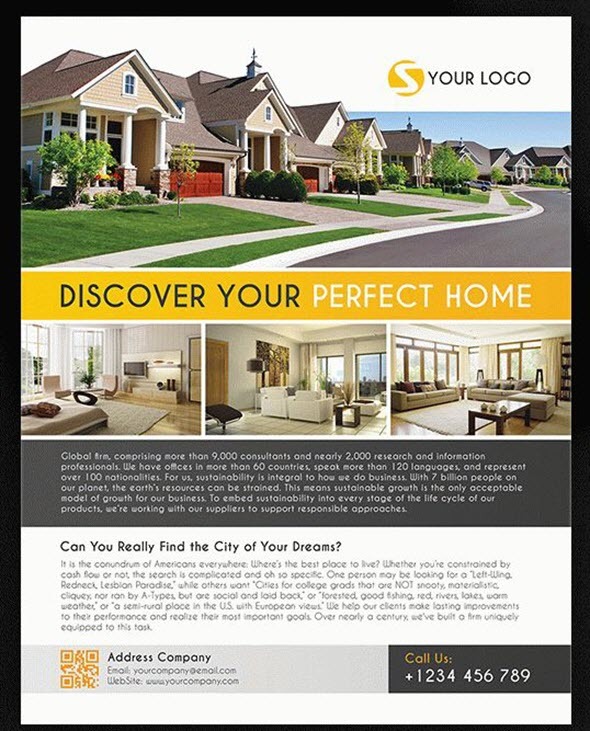 Use this flyer template in order to create an open house real estate promotion flyer or your real estate agency promotion flyer. It will help you to close a lot of real estate deals like a rockstar. 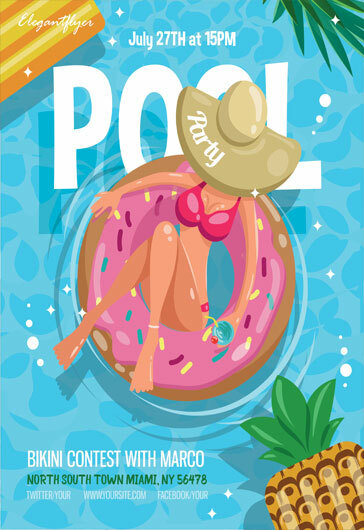 Don’t have a time for an awesome real estate commercial flyer design? 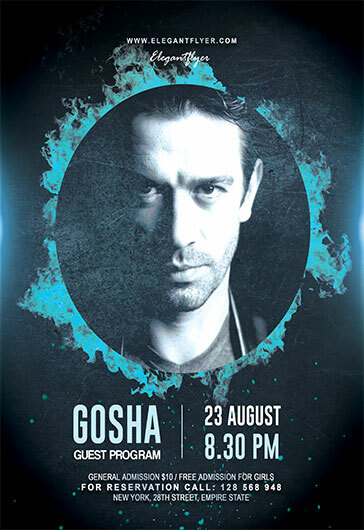 Use this flyer template and create a real estate agency flyer in a minute with the help of magic Photoshop. The template is available in a few colors and all texts and images can be easily changed. 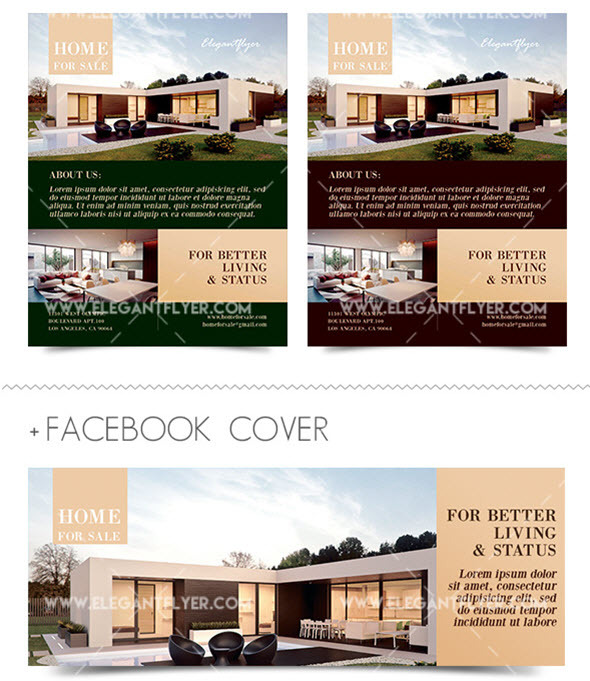 With this flyer PSD template, you can easily create a stunning real estate flyer design that will help your agency sell multiple luxury homes over the world. Use this easy-to-customize flyer PSD template to create an informative and attractive real estate flyer design to promote property listings. You can easily insert your property listing photos and add a description to each image. 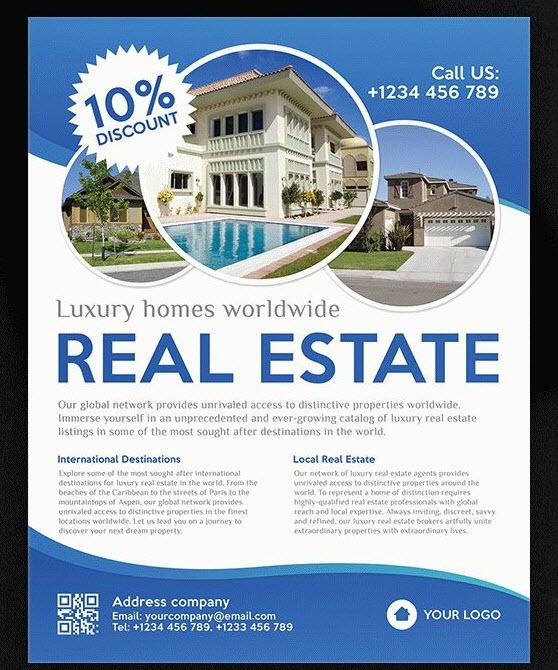 Flyer design has enough space for your real estate agency information and contact details. If you are looking for an awesome real estate business card templates, feel free to use our ready-to-print real estate business card PSD template.